Our aluminium angle profiles can be used in a wide range of applications, from day to day usage through to those uses where precision and strength are of vital importance. Our products adhere to BS tolerances where possible, and further technical information can be given on request as to strains and tolerances. This list of dimensions is by no means conclusive, so if you need something which is not listed here, feel free to get in touch with us. We can also supply the angle profiles in full lengths or cut to your needs. 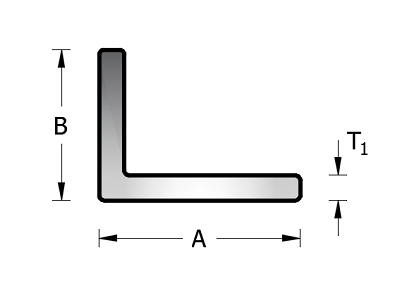 For further information on the range of aluminium angle profiles we have in stock, or which we can manufacture, feel free to get in touch with us today. Simmal also offers comprehensive machining and fabrication services. To learn more about our aluminium angle products, get in touch with us on 01772 324 277.